How a ‘Solar Battery’ Could Bring Electricity to Rural Areas « Adafruit Industries – Makers, hackers, artists, designers and engineers! The problem of energy storage has led to many creative solutions, like giant batteries. For a paper published today in the journal Chem, scientists trying to improve the solar cells themselves developed an integrated battery that works in three different ways. It can work like a normal solar cell by converting sunlight to electricity immediately, explains study author Song Jin, a chemist at the University of Wisconsin at Madison. It can store the solar energy, or it can simply be charged like a normal battery. 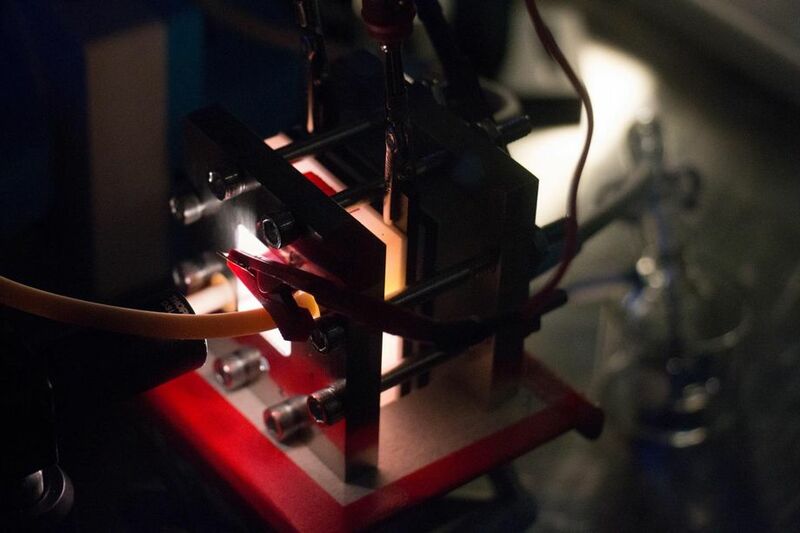 It’s a combination of two existing technologies: solar cells that harvest light, and a so-called flow battery. The most commonly used batteries, lithium-ion, store energy in solid materials, like various metals. Flow batteries, on the other hand, store energy in external liquid tanks. This means they are very easy to scale for large projects. Scaling up all the components of a lithium-ion battery might throw off the engineering, but for flow batteries, “you just make the tank bigger,” says Timothy Cook, a University at Buffalo chemist and flow battery expert not involved in the study. “You really simplify how to make the battery grow in capacity,” he adds. “We’re not making flow batteries to power a cell phone, we’re thinking about buildings or industrial sites.